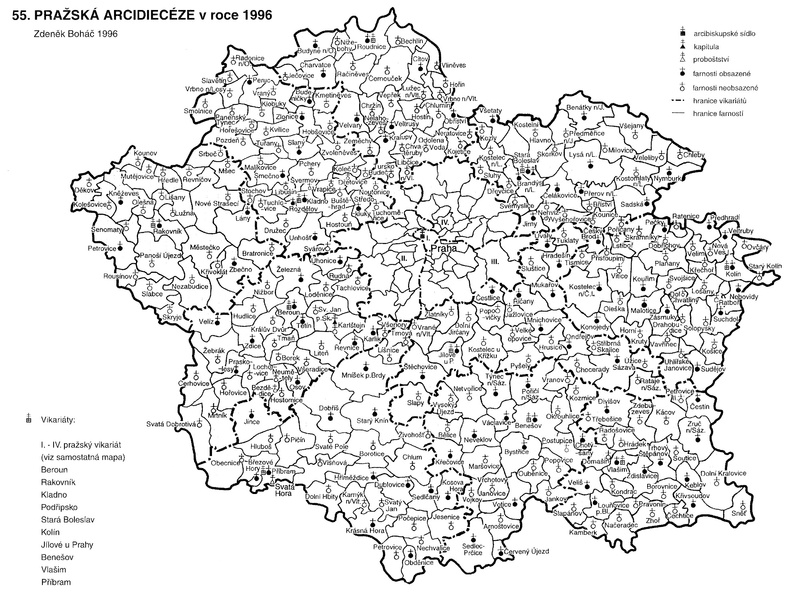 The Central Bohemia archive covers districts surrounding the city of Praha. The website contains 10,413 volumes holding birth, marriage and death records for Roman Catholic, Evangelical, and Czechoslovak churches, and 883 volumes of archival records of various types. The years of birth, marriage, and death records vary by parish and sometimes village. There are no Jewish registers held here. They are in the National Archives in Prague. The “Documents” tab contains some viewable and downloadable documents that show where the digitization process is along with future plans as well as listing information about when future releases can be made for books not yet complying with the privacy rules. Unlike other regions, the Central Bohemia headquarters are not located on its own territory, but rather they are in the capital city of Prague. If you visit the archive, you can search the records, but be aware that seating is limited and it is recommended that you contact the archive in advance by phone or email. More details are available on the website. Other records found online include: Guilds, mining, maps and plans, town and village records, personal funds, family archives, manuscripts, schools, associations, and estate records. Many records from this archive can also be found in FamilySearch. Additional information about using the Central Bohemia Archive can be found at FamilySearch Wiki)_Regional_Archives,_Czech_Republic.